Volition’s Saints Row spin-off didn’t make much of a splash as a video game when it was released last fall, but there’s still hope for Agents of Mayhem’s raunchy team of G.I. Joe rejects, courtesy of a company known for creating serious historical board games. At the top of Academy Games’ website is banner promoting Freedom: The Underground Railroad, a cooperative board game in which players take on the role of abolitionists aiding slaves flee from the Southern States to Canada in the 1800s. Scroll down to the bottom and there’s a link to Conflict of Heroes, a series of World War II games that have been used as military training aids. 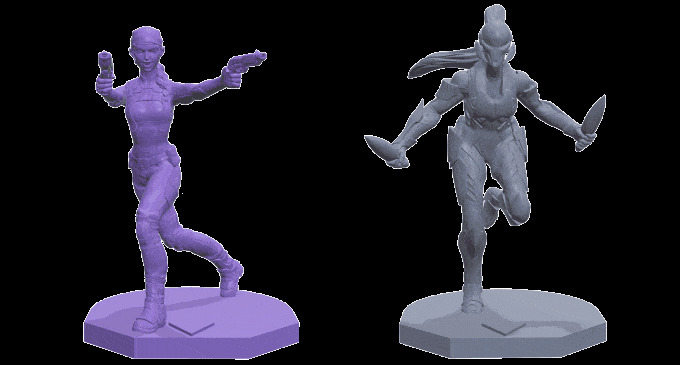 Between those, a link to the Kickstarter campaign for Agents of Mayhem: Pride of Babylon, a 3D tabletop game based on a video game loved by few. 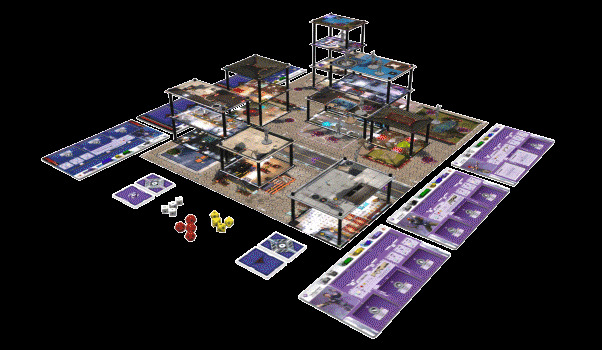 “We were initially surprised to be approached by the makers of Saints Row, a series of games that is so far removed from our particular genre,” said Academy Games creative director Gunter Eickert, speaking to Kotaku about the upcoming board game. “After learning about the game they were working on though, we saw potential for a very unique and fun board game and agreed to take on the project. According to Eickert, some “top people” at Deep Silver Volition were fans of Academy Games’ popular historical work, and approached The board game maker with the idea of creating a board game based on the video game during Agents of Mayhem’s development process. Work on the board game began around the fall of 2016, a year before the October 2017 release of the PlayStation 4, Xbox One, and PC game. “We started with the fast-paced tactical game play mechanics that our other games already use, added in a board made of multi-level buildings, a radiant story campaign, some mayhem, and voila, Agents of Mayhem: Pride of Babylon was born,” said Eickert. Building off mechanics developed for its historical fare—including a unique unit refresh system originally crafted for a Civil War game nearly four years ago—Academy Games has put together a rather cool tabletop board game. Players recreate the skyscrapers of future Seoul, Korea using 3D platform pieces, quickly adjustable to suit any scenario. Campaigns are “procedurally generated,” using campaign cards chosen by each player to create unique story paths each time the game is played. The aforementioned refresh system is particularly neat. 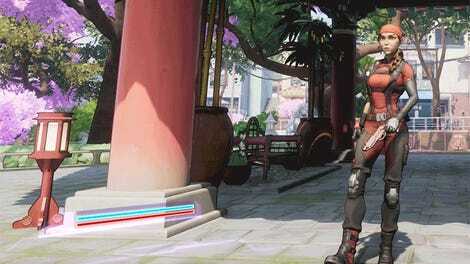 Players form teams of characters, and as one character acts, idle characters regenerate their action points. That means there’s always a character ready to react to a situation—there’s no sitting around, waiting for your turn to act. The figures beg to be painted. So far the reception to the Kickstarter campaign has been overwhelming, quickly hitting its goal of $30,000 and now approaching $120,000, only six days in. 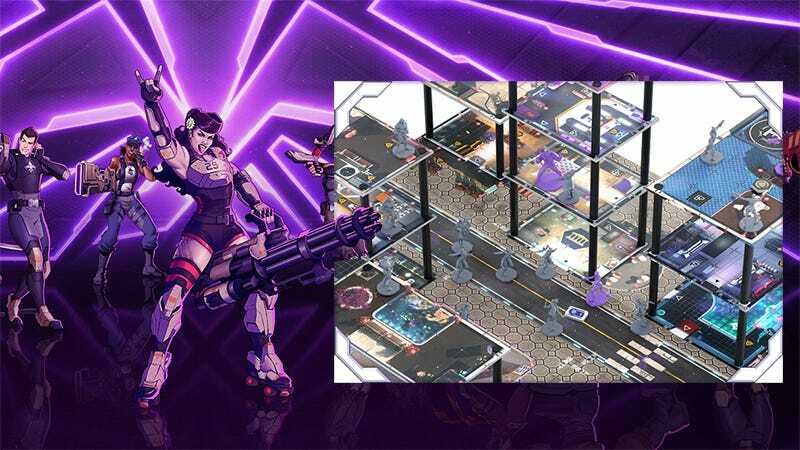 According to Eickert, fans of their board games are eager to learn more about Agents of Mayhem’s world and characters, while fans of the video game are eager to see their adventures continue. The Agents of Mayhem: Pride of Babylon board game Kickstarter runs until February 27, with the game and its first expansion, Get Gaunt, slated for release in September.